Please stand by as the new website is being fixed as well as switching servers, processors and making a new store with new blog and images with everything from the portfolio to services and promotion products! We welcome all USA and worldwide graphic designers and artist to help expand the network and products as well as services. From standard small fold boxes to quality Kraft slide boxes, small or big we can customize any box to almost any needs. Here’s a handy cheat sheet of great features to mention when recommending Bonanza. It is absolutely free to list an item. The 3.5% fee on all standard sales is lower than Amazon or eBay. Synchronize your inventory with other marketplaces. Publish items on shopping sites all across the internet. Boost traffic to your booth with TurboTraffic. 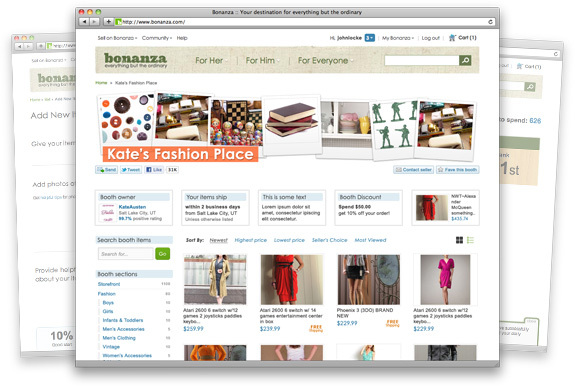 Open your own branded storefront with Bonanza Webstores. Bonanza listens to feedback from real sellers. Posted byadmin April 5, 2019 April 6, 2019 Posted inWorldwideTags: bonanza, custom supply chain, ebay, main chain supply, main supply chainLeave a comment on Bonanza vs Ebay? We are now re-launching the website with the Custom Mylar Bags as the first item on the catalog of many items to come. Description: Deposit for Setup Fees! Custom Order Deposit! This link is also a $80 deposit link for Services/Setup or COD deposit! Posted byadmin April 3, 2019 April 3, 2019 Posted inWorldwideTags: alibaba, company, llc, mainsupplychain, suppplier, worldwide1 Comment on Hello Everyone Worldwide !